An exhibition and spot sale of wood-work was held. I took a fancy to the stool at first sight. And, legs were cute like lamb's leg. 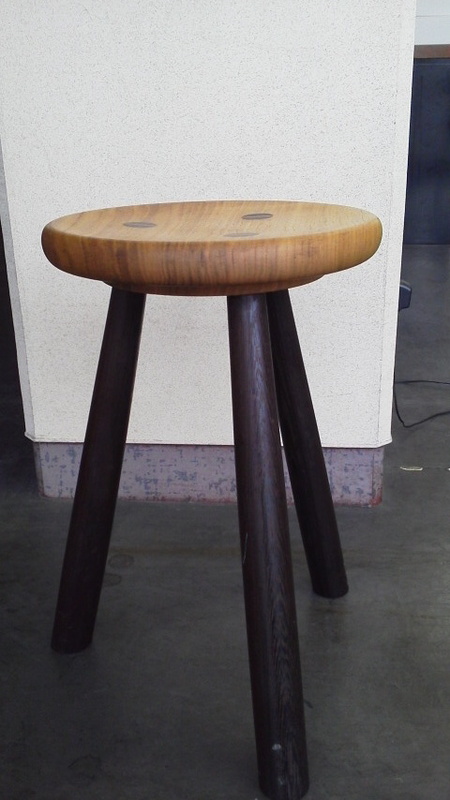 Because I stopped and looked intently,the creator of the stool talked to me.
" This is WINTER STOOL . Seat is made of TABUNOKI. TABUNOKI contains so much air between tissues, we feel warm under buttock. " and I was interested that wood for seat was TABUNOKI,too. Because in my garden we have an old TABUNOKI. It is very precious tree for our family. 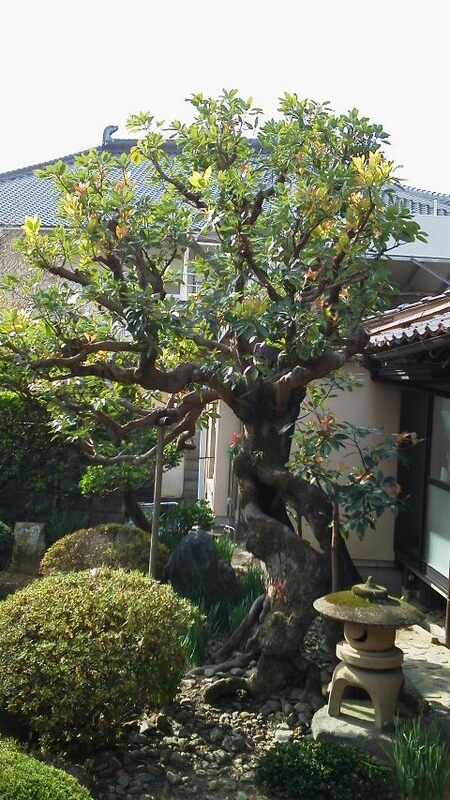 It is symbol tree of our garden. I had more and more fallen in love with that stool. At last, we decided to get that stool. And now, TABUNOKI stool has became our favorite one.